W. W. Norton & Company, 9780393253757, 256pp. As a working mother whose livelihood as a poet-lecturer depended on travel, Camille Dungy crisscrossed America with her infant, then toddler, intensely aware of how they are seen, not just as mother and child, but as black women. With a poet's eye, she celebrates her daughter's acquisition of language and discoveries of the natural and human world around her. At the same time history shadows her steps everywhere she goes: from the San Francisco of settlers' and investors' dreams to the slave-trading ports of Ghana; from snow-white Maine to a festive, yet threatening, bonfire in the Virginia pinewoods. With exceptional candor and grace, Dungy explores our inner and outer worlds--the intimate and vulnerable experiences of raising a child, living with illness, conversing with strangers, and counting on others' goodwill. Across the nation, she finds fear and trauma, and also mercy, kindness, and community. 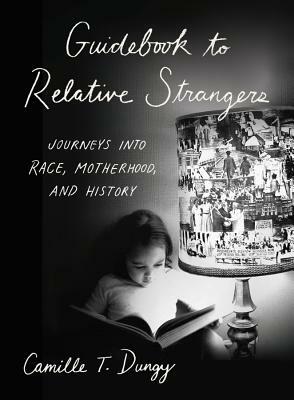 Penetrating and generous, Guidebook to Relative Strangers is an essential guide for a troubled land.